Love your plants with the Emerald Harvest Goddess Premium Plant Tonic, this invigorating plant tonic is full to the brim with natural ingredients, such as; alfalfa meal and kelp seaweed extract. These natural, earth-friendlyingredients will make sure your hydroponic plants are getting the right nutrients from diverse, crop-ready sources. Using Mother Nature’s best naturally occurring elements and other components purified and refined into a superlative one-shot addition forumulation to help encourage strength and vitality in your high-yield gardens. 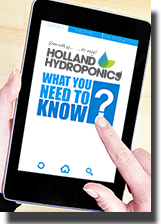 The macronutrients, Vitamin B1 and humic acids help to enable your plants to grow strong and flower abundantly. This rich tea has biocatalystic effects which help speed up chemical reaction and therefore improve overall growth and vigour without any chemicals or additives that harm the earth while providing the best nutition in your garden. diluted and added to mix or reservoir & can also be used as a foliar feed at the rate 2ml per litre when transplanting and up to 4ml per litre on established plant in the veg period.